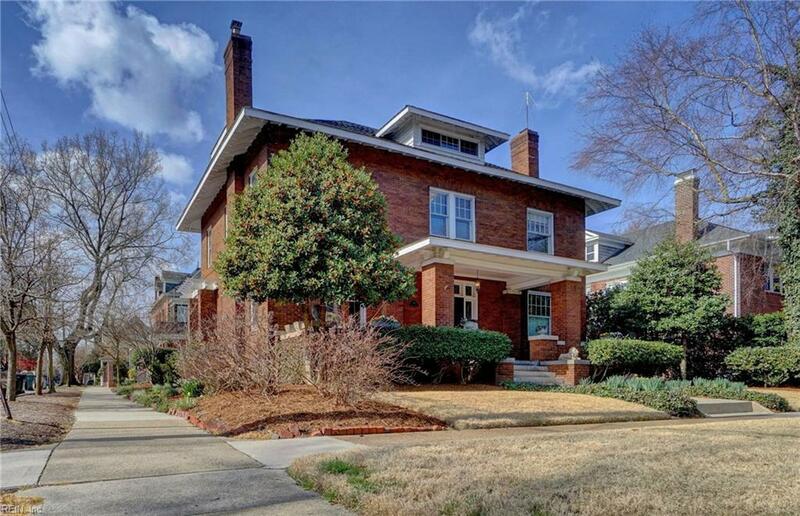 701 Baldwin Ave, Norfolk, VA 23517 (#10249218) :: Abbitt Realty Co. 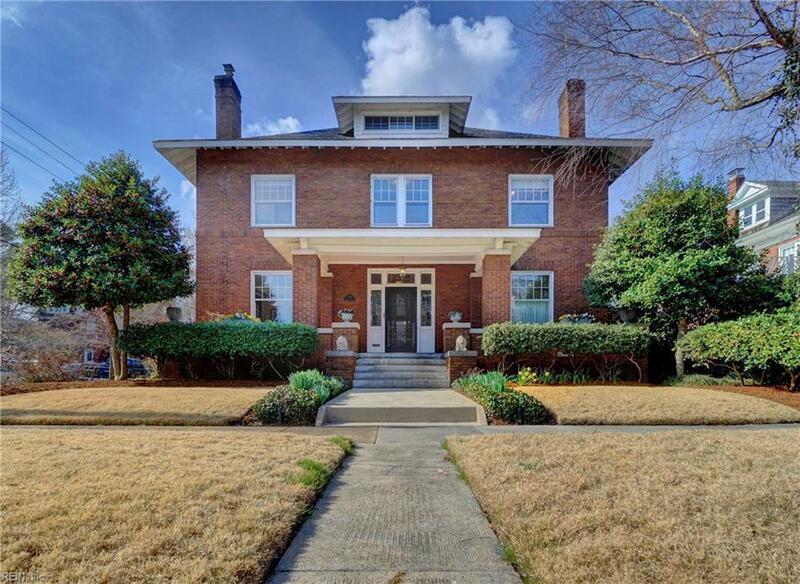 Stunning all brick home w/detached 2-car garage is situated on a manicured corner lot in the heart of Ghent. 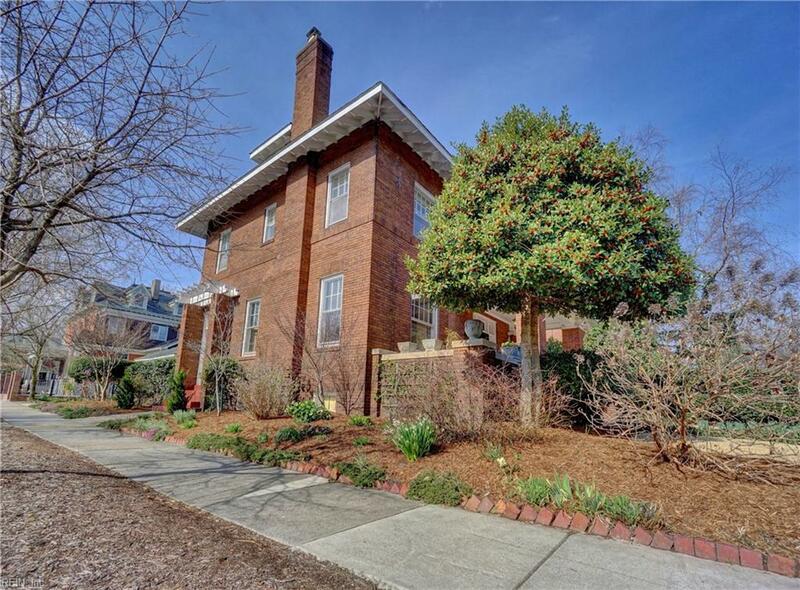 This meticulous 4 bedroom, 2.5 bath home greets you w/a large front porch, which leads to a gorgeous vestibule w/leaded glass windows. The adjoining foyer features coffered ceiling and fantastic natural light. 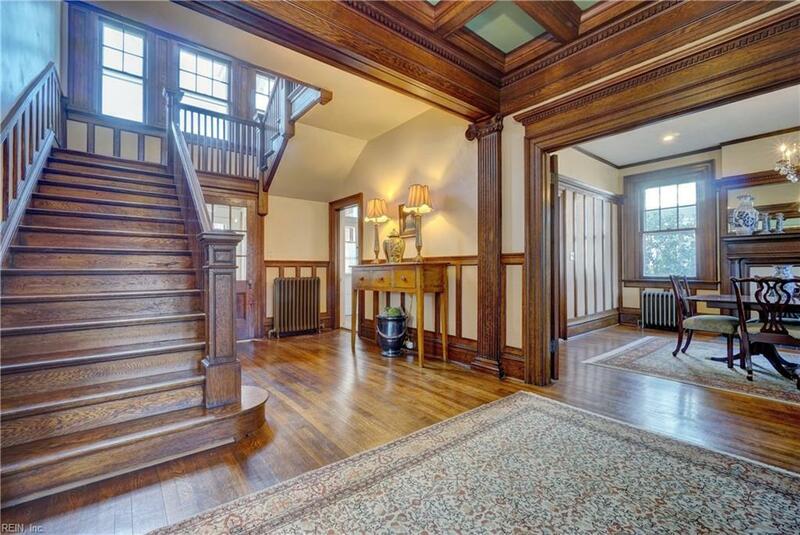 The entryway is flanked by a large living room w/wood burning fireplace & formal dining room. The eat-in-kitchen boasts cherry wood cabinetry, granite counters and island, & 2 ovens. A gorgeous staircase basked in sunlight guides you to the second level where you encounter an open space ideal for an office & living room. The master bedroom has an ensuite bath w/soaking tub, walk-in shower, a double vanity sinks. You will find 2 other sizable bedrooms that share the updated hall bathroom w/heated tiled floors. The 3rd floor is a massive area w/walk-in-cedar closet. The lushly landscaped backyard is fully fenced & has a private entrance to garage w/auto doors.